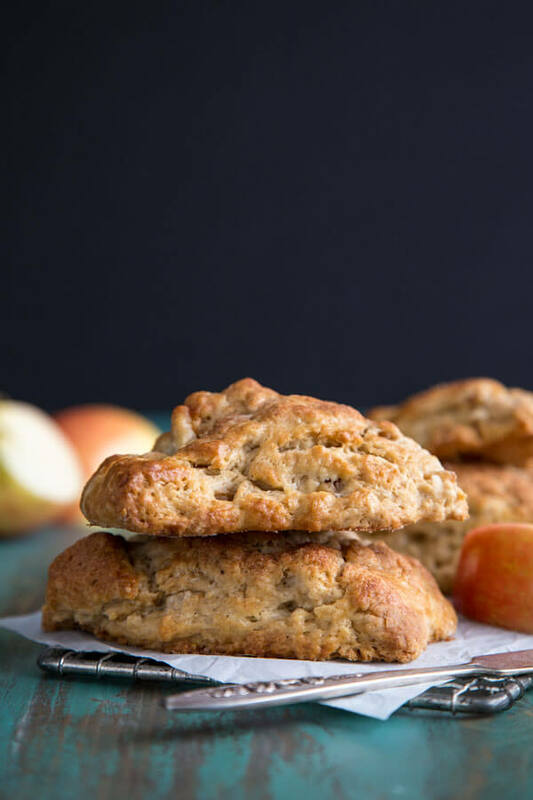 These Apple Pie Scones are filled with delicious spiced apple pieces. They are wonderful for brunch with tea and coffee, or as a midday snack. 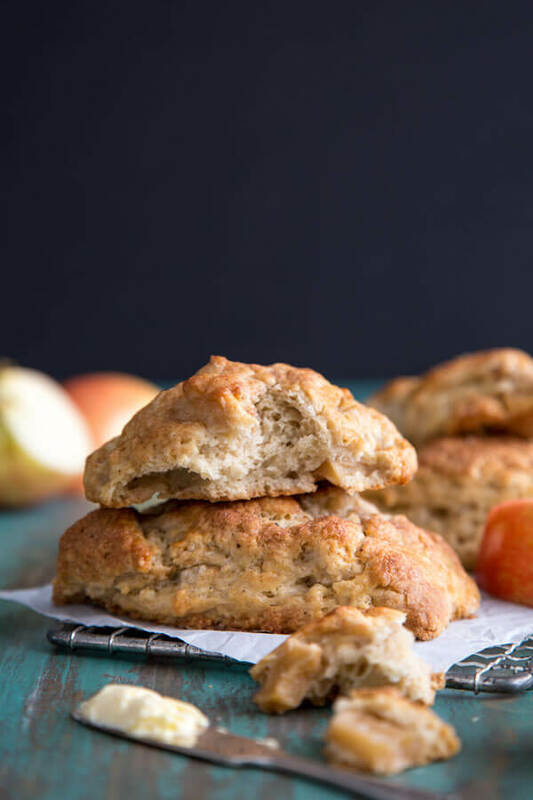 These slightly spiced scones are just perfect for Autumn. 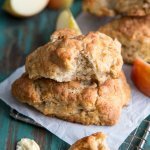 Melt in your mouth Apple Pie Scones are made with buttermilk, heaps of fresh apple pieces lightly spiced with cinnamon, nutmeg and cardamom. They are perfectly soft and moist, and will be just the thing to serve for an Autumn brunch get together. Here’s another adaptation of the Basic Buttermilk Scones to perfect your scone making skills. This time, we are making them with fresh apple and warm spices to give you all the Autumn feels. For these scones, you will need to precook the filling slightly, just to get the sugar and the spices all mixed in there and flavor the apple pieces. Then we prepare the batter as usual by working the cubed butter into the flour, then toss in the cooked apple pieces (after you let them cool completely). Now the next step is to add in a mixture of buttermilk, egg and vanilla extract. 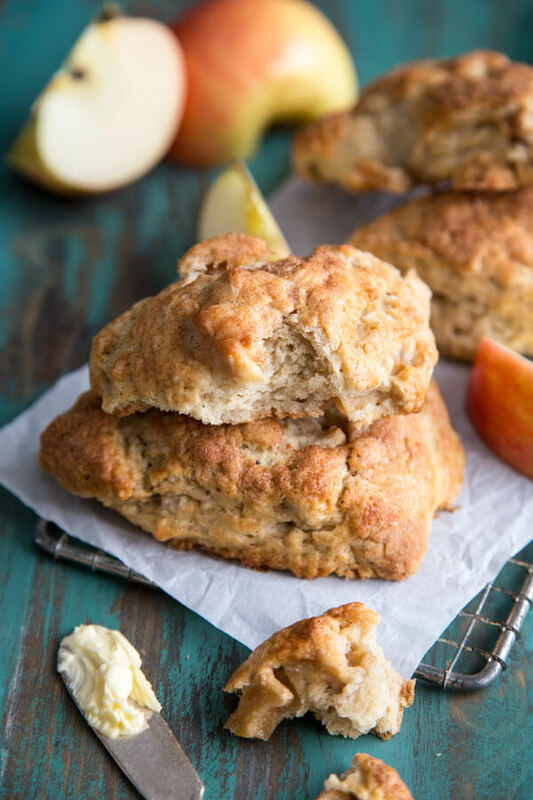 For these special Apple Pie Scones, you’ll also add in the sugar syrup from the cooked apple. That’s where the rest of the delicious spices are hanging out. Remember to reserve some buttermilk/egg mixture to use as egg wash to enhance browning while baking. 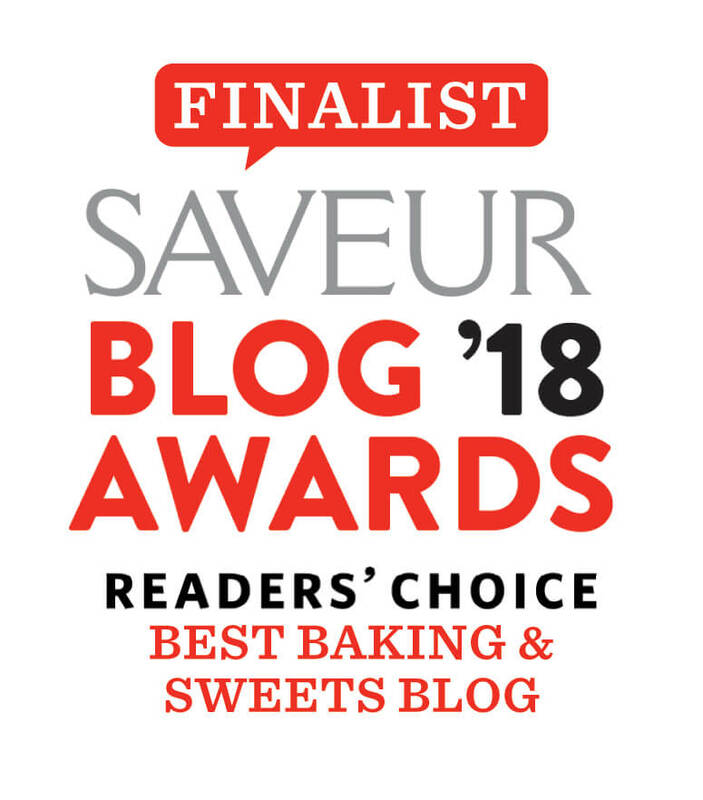 Typically we would use turbinado sugar to sprinkle the top of the scones. However, for these scones we want to sprinkle granulated sugar mixed with cinnamon, nutmeg and cardamom to keep them extra special. As always, I love using my insulated baking sheet for scones in general to keep the bottom of the scones from getting too brown. 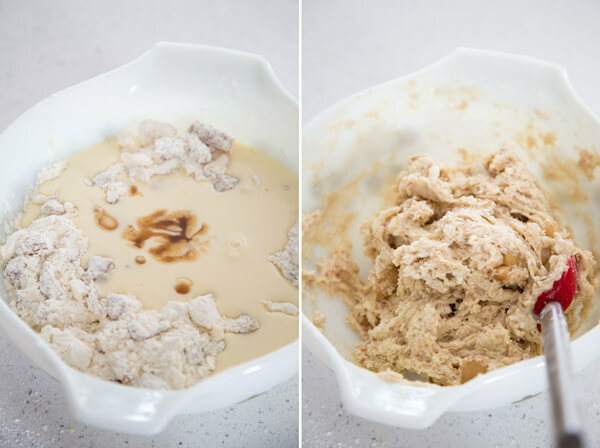 The dough for these scones is going to be wetter than typical since we have the extra liquid from the syrup, so use enough flour while working with the dough to keep things from sticking everywhere. But make sure you don’t over do it and add to much flour. This would dry out the scones, and we want to keep them super soft and moist. 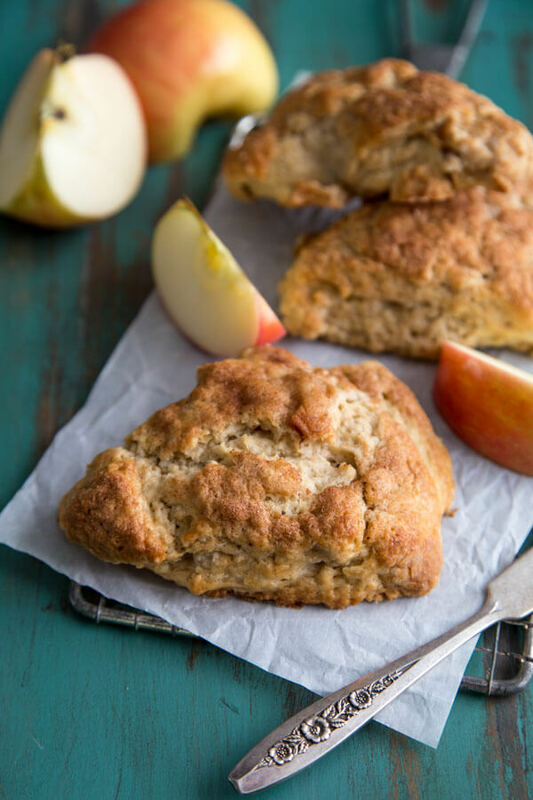 Fall is almost here and these Apple Pie Scones would be perfect to serve up this weekend. I hope you’ll enjoy them and I personally can’t wait for the wonderful weather that’s about to arrive! 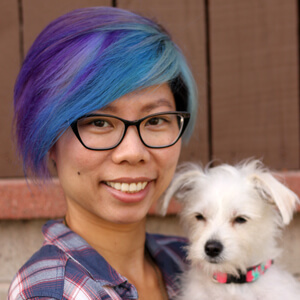 This recipe was originally published on September 24, 2014. The recipe has been retested to yield a smaller number of servings, photos and post have been improved and updated. Peel and core the apple and cut into small bite size pieces, this will yield about 2 cups. Add 1 tablespoon of unsalted butter to a small sauce pan and melt over medium heat. Add apple, sugar and spices to the pan and cook until sugar is melted. Continue to cook over medium low heat until the apple is starting to soften and the mixture is bubbly and thickened slightly. Take off the heat and allow to cool. Preheat the oven to 400°F and line a baking sheet with parchment paper. Mix 1 tablespoon of granulated sugar with the spices and set aside to use later. Add flour, sugar, salt, baking soda and baking powder to a medium mixing bowl and mix to combine. Toss the cubed butter in the flour mixture and work it into the flour with the tip of your fingers until about large pea size. Toss in the cooked apple pieces without the syrup. In a measuring cup, add buttermilk, egg and vanilla extract and beat to combine. 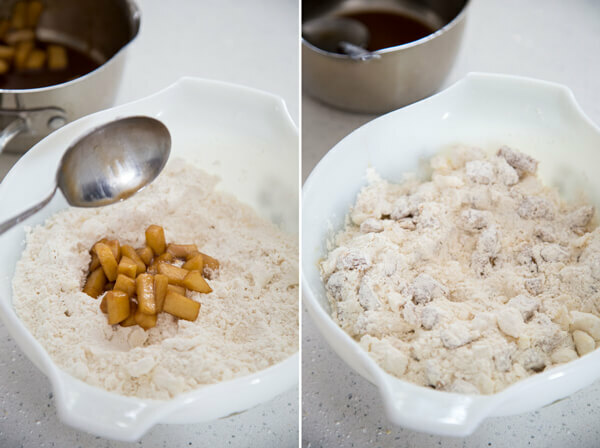 Make a well in the middle of the flour mixture and pour in the liquid mixture, reserving about 2 tablespoon to use as egg wash. Add the left over syrup from the cooked apple. Fold with a spatula or wooden spoon until a wet dough forms. Turn the dough out onto a well-floured board, fold it over itself a 2 - 3 times, and shape into a circle about 1 1/2” thick. Place the scones on the prepared baking sheet, brush the top and sides with the reserved egg wash, and sprinkle generously with spiced sugar. Bake for 23 - 24 minutes until golden brown and a toothpick inserted in the center comes out clean. 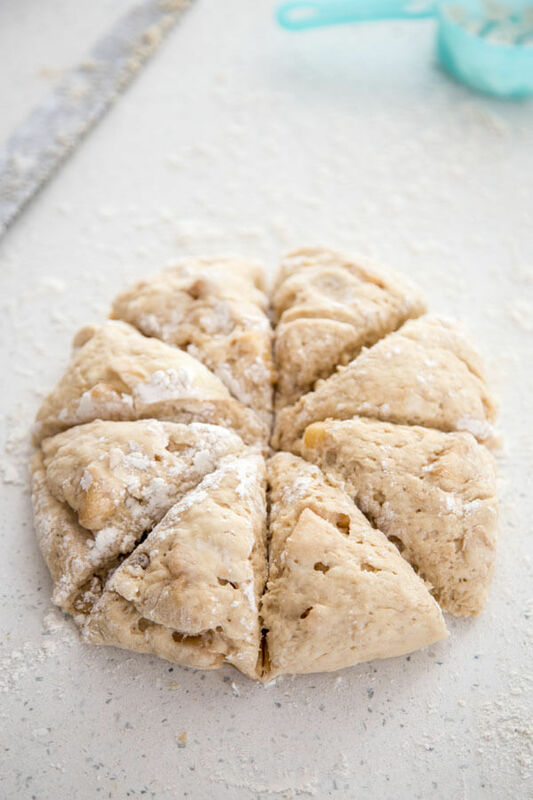 This dough will be very wet so use as much flour as you need up to 1/4 cup to keep it from sticking, but don’t add anymore than you must to keep the scones soft and moist. Recipe inspired by Joy the Baker’s Apple Pie Biscuits. scones, my favorite coffee food. These look and sound delicious. Thanks for making my morning. When I cuts the scones to put them on the baking sheet, the filling all comes out…..???? Hi Arlene, I’m sorry that happened! Was the filling too watery? Or maybe you could roll it up tighter?